I stated in my post, about our need to know what items to bring with us in situations that arise unexpectedly, that I would add links above it. I was able to find a good link for basic mediation learning. Emotional retraining, not so simple. Most links I found were actually advertisements for their various learning courses; sneaky. I understand the basics of emotions and Cognitive Behavioral Therapy, since there are no reliable links to add for your own research, I am going to post a simple process I have used with both myself and with others. The first thing our brain does is latch onto a thought. Negative thoughts might be thoughts such as, “I am a failure”, “I never accomplish anything”, “I can’t handle this situation”, “I am just going to give up” or worse. 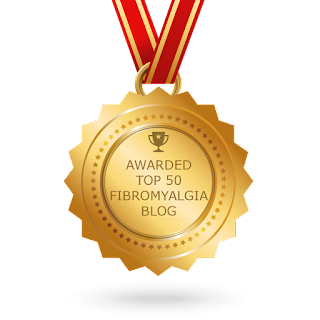 In using these specific examples I am trying to recreate thoughts I have had, and have, because my daily life has changed from living with Fibromyalgia. Despite my ability to live Well with chronic pain, I am not perfect, I am human. Our brains will always default and take the most used pathways. Once a pathway is established as our usual belief, our thoughts, emotions and behavior becomes automatic. In our situation these thought paths can effectively create behaviors where we just stop trying to accomplish it in order to not fail. We know we can’t handle it, we won’t complete it, so we don’t. This example is fairly clear; thought creates behavior. Negative behavior is based on negative thoughts. This automatic process is one that we are not conscious of. We become stuck in a cycle that hurts us. You can begin to recreate pathways that latch onto positive thoughts, emotions and behavior. You can retrain your brain. Start simply. Begin to notice your thoughts, emotions and subsequent actions. Drawing a circle with three headings each equally spaced around the circle; Thought—->, Emotion——>, Behavior—–>, with the circle completed when you reach Thought again. You now have a closed circle with the three key words waiting for you to use in retraining your pathways. Make the circle large enough that under each heading you can put your automatic thought, emotion and behavior. Pick one after a week of practicing noticing your automatic negative thoughts. Write them under the headings in the circle, then add a positive Thought, Emotion and Behavior under the negative ones. For instance, you first thought, “I am a failure”, now you add underneath it, “Doing the Best I can”, followed by the new emotion and behavior that accompanies it. Use this basic circle as a new tool that will begin to change your negative, self-defeating brain. Put this somewhere where you see it every day. If that is too much right now put a note on your mirrors with the new positive thought. Watch as your behavior begins to move forward. *Update: 10/2015. This is also a good worksheet to keep in the front of your organization binder, or, tuck into your daily reminder book/memory book. This is a very simplified explanation of what CBT can assist people with. Right now, keeping it simple is all we need. Actually, keeping it simple is all anyone ever needs! *As always, this blog is in no way a therapy site, I am not offering professional advice and I advise anyone experiencing new or unusual problematic thought processes or behaviors to immediately contact their doctor. Important enough to read again.